New from Cache Lake Foods, we highly recommend these garlic mashed poatoes. Why? Well they are full of home cooked goodness and make a generous two servings. Not only that, but they taste great and are easy to make, simply add hot water and fluff. 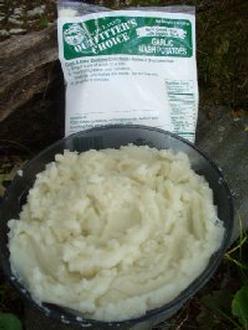 A no-cook, quick and easy mashed potato with a burst of garlic. Makes two 9 oz. servings.